On March 9, a small group of park leaders and community supporters gathered on a new boardwalk in the Presidio to celebrate the restoration of MacArthur Meadow with a ribbon-cutting. The fledgling wetland, mostly still brown earth, was dotted with native plantings. A revitalized stream flowed steadily below the boardwalk. Members of the Ohlone Tribe performed a traditional blessing, and two pairs of mallard ducks paddled contentedly in nearby pools of water. 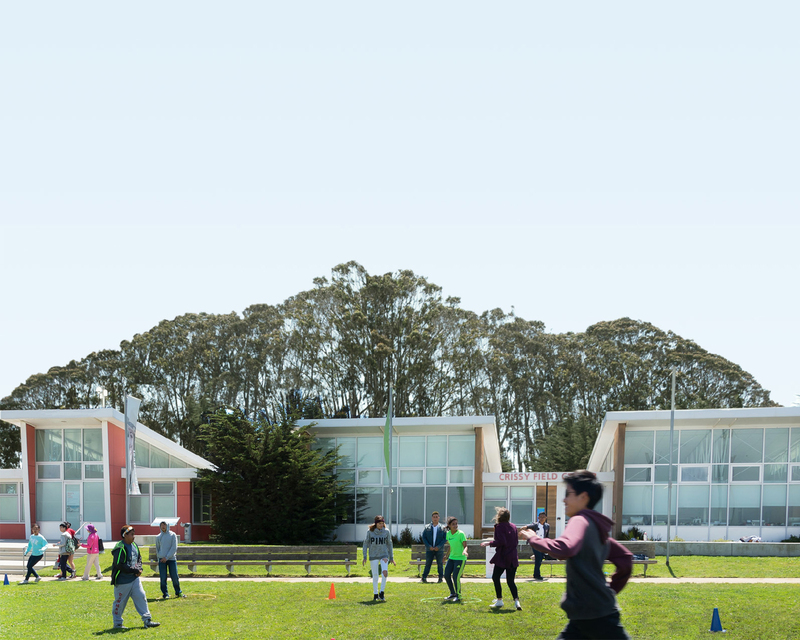 The crowd—comprising volunteers, donors, and staff from the Presidio Trust, National Park Service, and the Parks Conservancy—stood in the sunshine and admired the transformed field. MacArthur Meadow was for decades an unassuming stretch of grass adjacent to MacArthur Avenue. It has served mostly as a crossing point for walkers and joggers enjoying Lovers Lane, the Presidio’s oldest footpath, upon which soldiers once strolled from the Main Post to the East Gate. When the Army handed over the Presidio in 1994, there were very few riparian habitats left. MacArthur Meadow had been the place where tributaries from three streams had converged. But the Army diverted the waters, converting the once-wet meadow to dry land. Over the years, MacArthur Meadow had been used for encampments, including as a refuge for those displaced by the 1906 Earthquake. To restore MacArthur Meadow, the flow of the tributaries was returned and 20,000 plants, grown at the Presidio native plant nursery, were planted by volunteers and staff. The plants, representing 60 species native to San Francisco, include the endangered marsh sandwort and other water-loving plants. Though only four acres in size, MacArthur Meadow represents a milestone in the larger efforts to restore the Tennessee Hollow Watershed. Collectively, Tennessee Hollow has a multitude of distinct habitats, including serpentine and coastal prairies, riparian, dunes, brackish marsh, salt marsh, and seasonal wet meadow, like that at MacArthur Meadow. The efforts to restore this 271-acre watershed, which began with the restoration of Crissy Marsh in the late 1990s, includes completed projects at El Polín, nearby YMCA Reach, and Thompson Reach. The next major effort will be at Quartermaster Reach. This portion of the watershed, which will be an extension to Crissy Field Marsh, will entail restoring an area previously covered by pavement, landfill and Doyle Drive into creek, dune, and brackish marsh. Thank you for the generosity of the donors to the MacArthur Meadow Restoration Project and the Tennessee Hollow Watershed. These significant philanthropic contributions have leveraged public funding—including funds from the San Francisco International Airport wetlands mitigation agreement—to make this ambitious, multi-year restoration effort possible.